We hope the owner of the universe will tarry in His visit. If so, there’s every likelihood that, the incumbent Governor of Akwa Ibom State, will continue with a second term in office. Chief among the reasons this will happen, stems from the fact that, the peace that eluded the state between 2007/2015, has become a norm, and so, the people that were affected most, the Church in Uyo are now conducting their business unhindered. This is why the church as a body, have cried that, “afflictions shall not arise a second time “. I was in the state for 11 days and spoke and listened to faith leaders. They want the peace experienced to continue. The Governor is unpopular amongst the civil servants? Yes. There’s a visible anger once you mention his name. He’s not owing them their salaries, but emoluments like several years of leave allowances, pensions etc. In my quest to understand what’s on the mind of the Governor, one of his senior aides agreed that the Governor had a meeting last week with Level 14 and above officers and explained to them the poor financial situation, offering them notarized promotions. At several instances, I have pleaded poor income for the state, and I was unkindly told that the “Udom boys are living large, buying properties and the good life”. 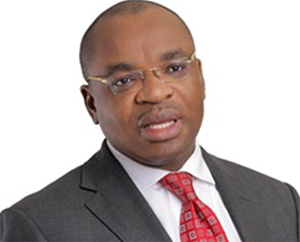 Udom Emmanuel as Governor of AKS isn’t seen as a friendly and humble person and those around him complain he’s not flexible with counsel. Human flaws? Yes, but, there’s been a lot of development in the state, and decorum in managing the finances. This sitting Governor will return because, the defection of Godswill Akpabio to APC has unsettled the plans and successes achieved before his arrival. An aspirant of APC swore to me that, they’ll all vote Udom Emmanuel, to “teach APC a lesson “. Everywhere APC had structures, the uncommon transformer’s entry undid all, leaving the party with bitter tastes in their mouths. Streetwise consensus is that, if Nsima Ekere, the APC Gubernatorial candidate was staking his reputation, there would have been a real battle, the braggadocio of Godswill Akpabio. Most people of AKS are done with that era. Take for example the primaries of APC in the state. Lives were lost in the process, and even though the process was inconclusive, candidates forced on the people were announced. This again is a relic of our locust years. PDP in Akwa Ibom State seems to be strategic. When I screamed why Chris Ekpenyong, one time Deputy Governor of the state, who recently was lampooned, cursed and abused by constituents of Ikot Ekpene Senatorial district on a radio phone in programme, should be given a ticket to oppose Godswill Akpabio, a senior PDP person suggested that, the party might not be interested in winning that position. Again, the obvious confrontation from the camp of the NDDC CEO, regarding projects in AKS isn’t resonating with responsible adult in the state. The expectations are that, the Federal agency, should have partnered as the provision is, with the state government in determining strategic and important infrastructure to move the state forward, instead of the former behaving like another Governor of the state. The people of Akwa Ibom State are desirous of the tranquillity that was in the state before the coming of Godswill Akpabio, and whoever is offering that peace, they have elected to petition their Maker for the best. So, the battle to return Udom Emmanuel is actually a spiritual one, not for Udom Emmanuel himself, but, for the future of the Akwa Ibom people.